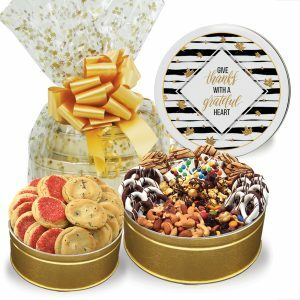 This magnificent trio of cookies, nuts, sweets, and mouthwatering chocolates will truly define your impeccable taste. 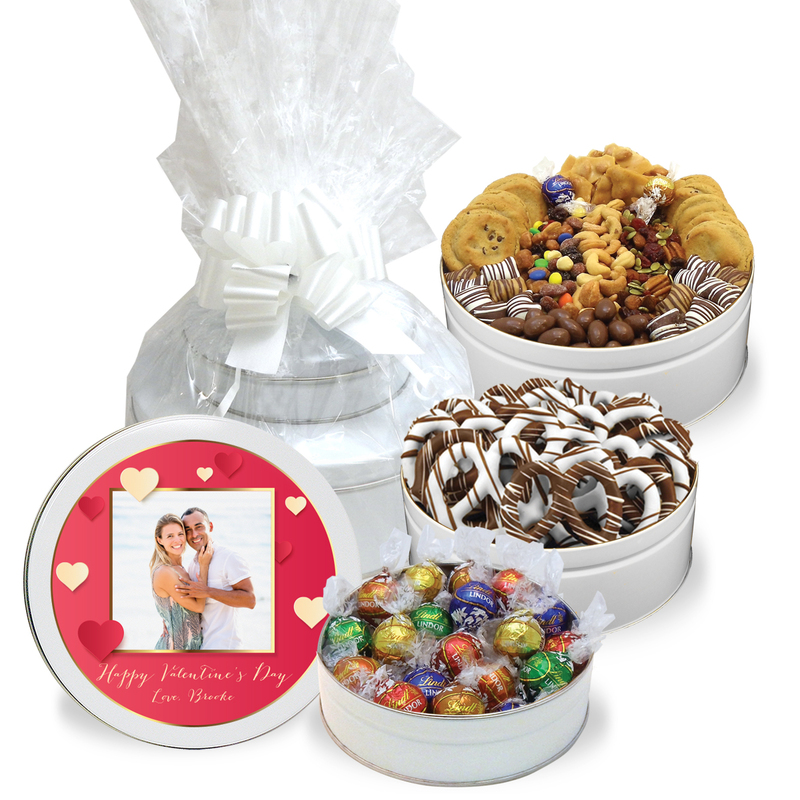 The Valentine Royal Confectionery Trio Tower is spectacular, indulgent, and has a little bit of something for everyone. 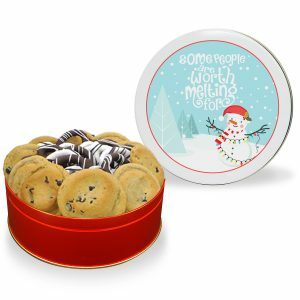 This magnificent trio of cookies and sweets will truly define your impeccable taste. 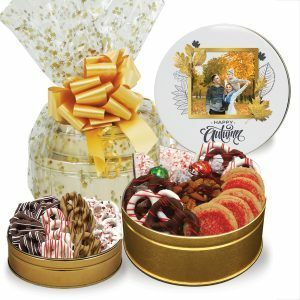 Give someone a gourmet collection of fresh baked cookies, nuts, trail mixes, chocolate covered pretzels and more. 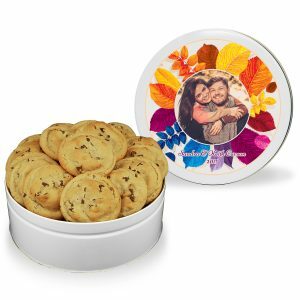 Choose a beautiful stock design tin, like “Love and Cookies” or personalize it with your own picture or message in one of our winter themed templates.